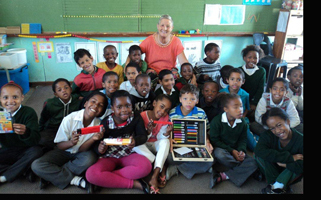 The process started in March with an email and culminated in November with incredible joy for the children of Cape Town South Africa! Jennifer Oberstein, the Senior Director of Communications at The Leading Hotels of the World (LHW), sent me an email expressing her interest in a partnership with Pack for a Purpose. She had been researching potential philanthropic partners and came across our online video. She wanted to learn more and asked me if there was potential to help a school in need in South Africa. I assured her it was a perfect fit. She explained that members of LHW will be attending the annual convention in November in Cape Town, South Africa, and they would be invited to participate in our initiative. The next flurry of emails started at the end of September with confirmation of details and plans of implementation. 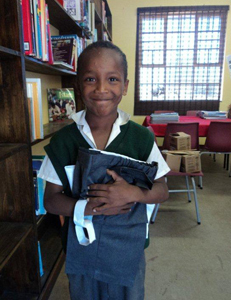 The Pack for a Purpose lodging in Cape Town is The Backpack & Africa Travel Centre and their project is The Great Commission United Academy. 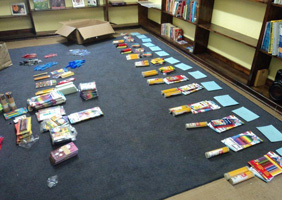 It was determined that this project would be the beneficiary of the supplies brought by the conference attendees. Mario van Niekerk set up the Academy in 2001. 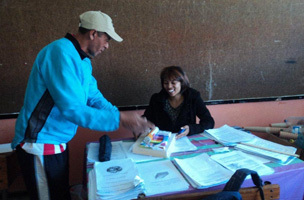 Born and bred in Heideveld, South Africa, Mario had witnessed many of the community’s problems first hand and felt passionate about helping many of the area youth and keeping them off the streets. Hence the Soccer Academy was born. GCU is not just a football club, it has expanded into a wider range of community activities including rope skipping, tutoring, life skills, a school for dropouts, and mentorships for hundreds of children. The GCU Academy’s programs provide a way out of being trapped in the cycle of gangs and drugs. November arrived with some wonderful additional requests. Pack for a Purpose was invited to provide a guest speaker for the opening day of the conference. Lee, one of the owners of The Backpack & Africa Travel Centre, graciously agreed to represent us. 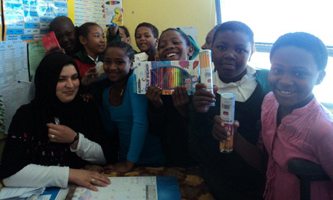 Lee also arranged to have a demonstration by some of the beneficiaries of the supplies. Several young ladies from the award winning skip rope team started by the GCU were able to show off their talents at the conference. The reception for the young women, Lee told me, was enthusiastic, warm and appreciative. The response from the conference attendees who came from North America, South America, Europe, Asia and Africa was truly amazing – they collectively brought over 320 kilos of supplies for the project! It took several days for Lee and her team to collect this enormous amount of supplies from the four hotels where the attendees were staying. Lee and her team then sorted out the supplies. 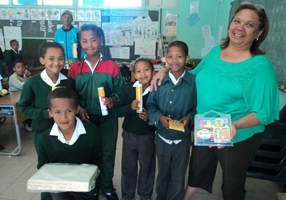 They realized they had received so many supplies they were able to share them with several other community-based projects in need in Cape Town. The photos you see here show the joy and wonder of the children receiving supplies they would not otherwise have had access to, and which will benefit them greatly at school and after school activities. 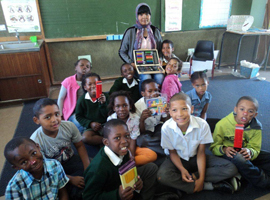 The attendees of the conference of The Leading Hotels of The World made a Big Impact on the lives of the children of Cape Town by choosing to “pack for a purpose”! 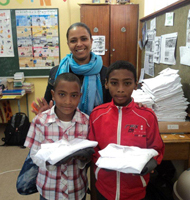 Hundreds of children benefitted from the supplies brought by the convention attendees. Another immediate benefit was that two sister properties already supporting community-based projects in South Africa and members of The Leading Hotels of The World chose to become part of the Pack for a Purpose website. They are The Oyster Box and The Twelve Apostles Hotel and Spa. It is our hope that other members of The Leading Hotels of the World will also choose to be Pack for a Purpose participants. “The call to action from LHW and the accompanying information was sufficient in getting us started — Truly simple, straightforward, and rewarding. Our sales, reservation and catering teams were the most generous, and the hotel more than matched their load. I had made it very clear that I was willing to carry an extra piece of luggage on everyone’s behalf. A few years back, I had the privilege and fortune along with my wife to visit the Cape and other destinations in South Africa while on safari. 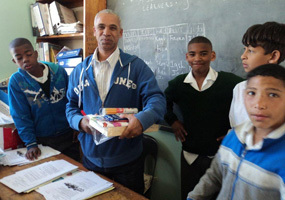 We added a side trip to the townships in Cape Town, visiting an elementary school as well as an orphanage. These visits are still vivid in my memory…the kids, the voices, the enthusiasm and the joy was quite emotional. Therefore, the Pack for a Purpose initiative was a no-brainer on my part and took little to no effort. You now have a lifelong fan!